I am going to apologize that the finished tray picture is not as awesome as the finished tray is. It was a mad rush to get finished Sunday. I will add a better photo after this weekend. 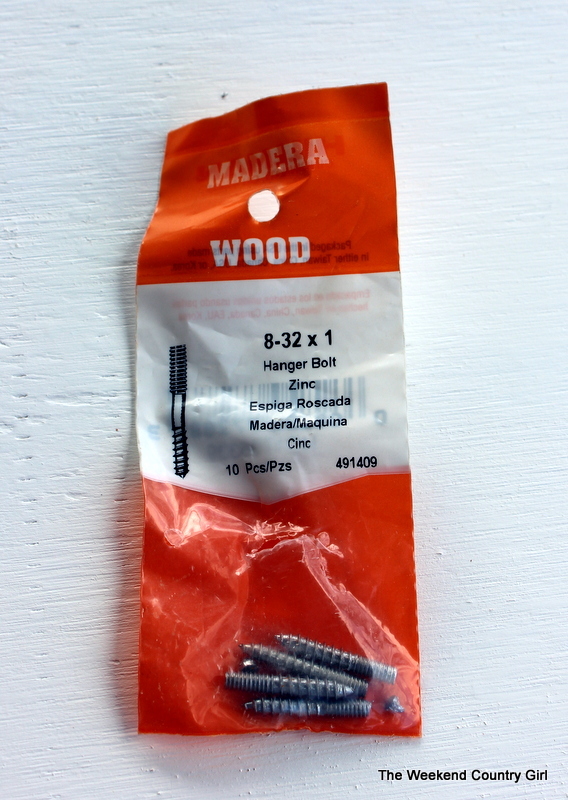 Every week until I get the Garagemahal cleared I am going to be doing a quick project that only uses items in my stash of bits, parts, and scrap wood I call “the hoard”. Most of the things there are items my husband would love to throw away. Today the project uses a plywood scrap, a 1X2 scrap, and some hardware I have collected over the years from either projects that I repurposed, were given to me, or I bought at garage sales and thrift stores. 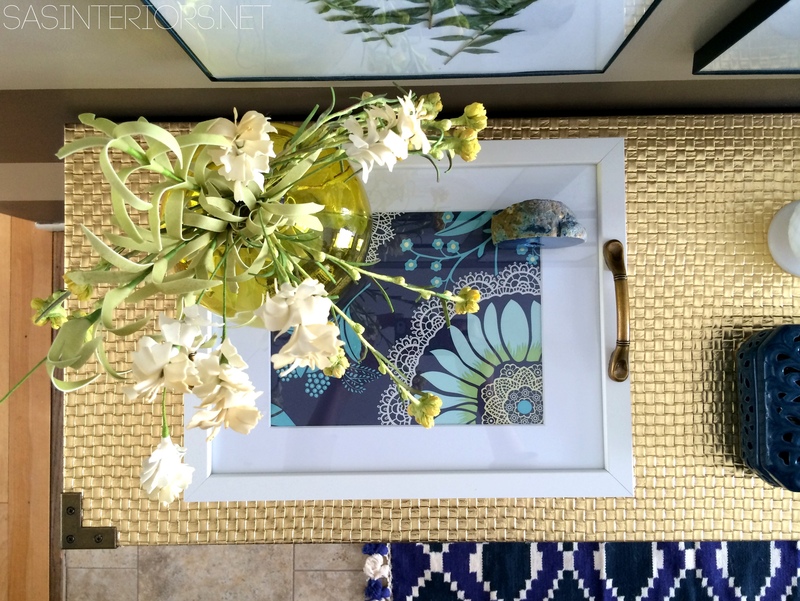 I love the look of trays on coffee tables and we use a ton for carrying things from the kitchen to the deck. Here are a lot of ideas in one spot. The steps for this crafty project at super simple. 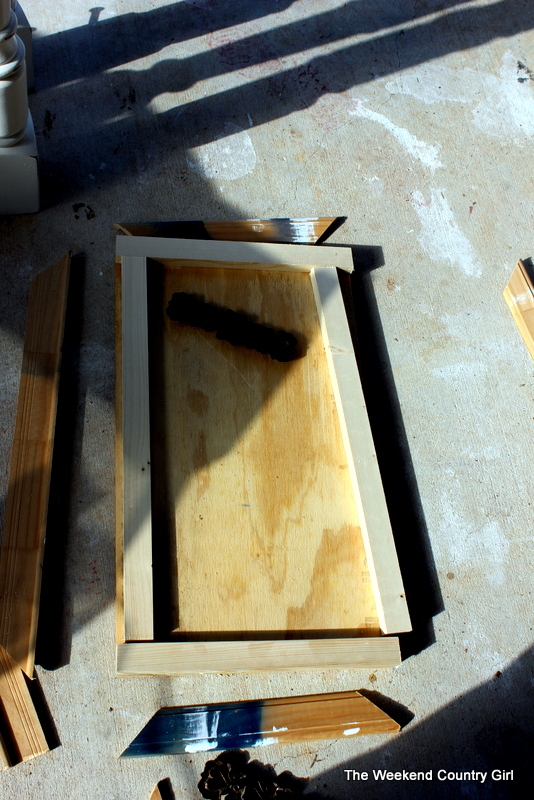 Take a piece of plywood, a cabinet door, or even a wide board and cut it to a length you like for a tray. Attach 1X2 around the edge. I attached it with glue and the air nailer. Sand it all down so that it is smooth and fill any holes ( like where the nails went in) and I even used a thin coat of wood filler along the edge of the plywood to make it more smooth. a quick sand made it feel better along the edges. Prime and paint. 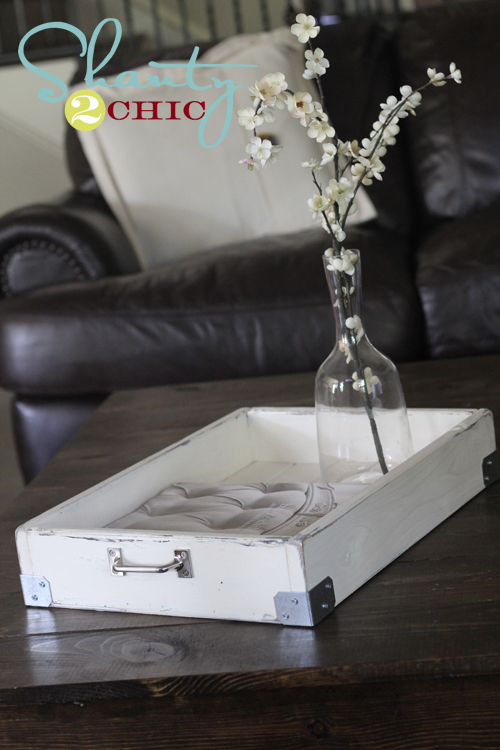 This tray is a gift and I knew my friend wanted it to be my favorite creamy white, Behr Sea Salt. I had this vintage brass hardware that was given to me. My friend loved it when she saw it a while back so I am happy to pass it along. My husband told me about these amazing things. They allow you to screw knobs directly into wood. They are now a staple in my tool kit. I attached four brass knobs to the bottom as feet. I like the way they raise the tray and make it feel a little lighter. I really like the look. I like it so much that i am making myself one, too. Mine is going to be Behr Red, Red Wine. It is going to to have some of my favorite 1970’s drawer pulls. I need knobs for feet and longer bolts so I can finish mine. This is a cheap, easy way to get a tray that matches your personal style. The hoard is thinning out and I am enjoying stretching myself. Thank you for taking the time to read my blog. I appreciate you more than I say. I love love love it! I hope I get it soon! You always seem to remember when I mention I like something!